If you run a small business, the chances are pretty good that you have thought about using social media to promote your company. There are many benefits associated with this type of online marketing that any type of business can receive. 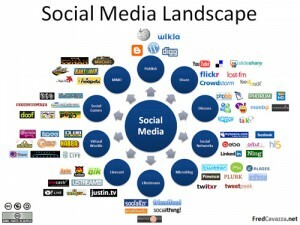 Using this guide will help you prepare a social media marketing guide for your small business in 2013. Since I was hired by one eCommerce website for social media marketing campaign, I was testing a lot of methods in order to attract more visitors and potential clients to their website. Here are my conclusions about social media marketing. First, understanding how social media can help benefit your business will give you a better idea as to how you can utilize this form of marketing. Social media provides businesses with the opportunity to reach a large number of consumers in a short amount of time. If you build your social media following correctly, you can reach a large number of highly targeted consumers as well, helping your produce an excellent return on your advertising investment. Social media marketing is fairly easy to manage as well. With the help of a few automation tools, you can run a social media marketing campaign for your business with relative ease. However, in order to get the most out of your campaign, you need to set aside some time to analyze your results and optimize your campaign. While this work is not difficult to perform, it does require a little bit of your time that needs to be set aside so you actually get it done. It is very easy to put your social media marketing on the back burner and forget about it if you do not make time to optimize your campaigns. Every social media marketing campaign begins with great content. If you do not supply your followers with high quality content that they find interesting and useful, they will quickly find other social media accounts to follow who do provide this type of information. This is why it is important that you mix in informative content from other websites, business and industry leaders with your marketing materials so people will continue to follow your social media accounts. In addition to providing nothing but excellent content to your followers, you need to consciously think about who your target customer is in order to find them on social media websites and tailor your content for them. Each social media website caters to a specific demographic. Knowing who your target audience is will allow you to focus the bulk of your social media marketing efforts on the one social network that is likely to be home to your target audience. After you have determined which social networks are the best ones to target with your marketing campaign and have built up a loyal following by providing nothing but high quality content, you will want to take a step back and analyze your campaign’s results to see if you are meeting your goals. Using a web analytics program on your website to see how much traffic you are driving and conversions you are generating from your social media marketing campaign is the best way to gauge its effectiveness. If you notice you are not seeing the type of results you had hoped for, you will need to take a different approach when it comes to marketing your business via social media. Every business can benefit from a sound social media marketing campaign thanks to the ability to reach a large number of consumers in a short period of time. Accurately determining who your target audience is and which social network they are a part of will ensure you do not waste your time promoting your company to people who are not interested in your products or services. Also, providing your followers with high quality content and measuring the results of your efforts throughout your campaign will allow you to see the best results possible when it comes to promoting your business via social media websites. Benjamin Ben Sawyer is well known blogger and content writer. He is also a Social Media Marketing Consultant for http://www.paramold.com an ecommerce website of one New york company. 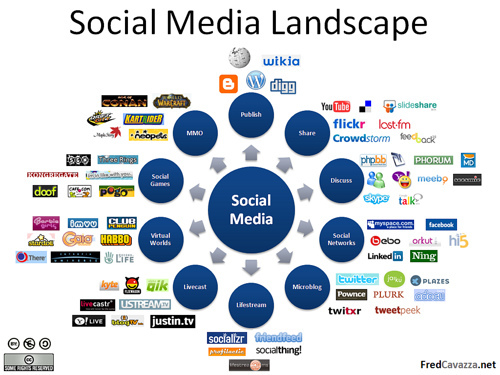 Here are his tips about social media marketing. Good read. I will definitely take a lot of what was said into consideration to improve my 2013 online. Using social media is a great promotional tool, but you still have to have a really good site, one that is both entertaining and informative. You can’t do anything if you’re not benefiting from social media. A Twitter account is a great way to go for disbursing info really fast. Great!! I will definitely take a lot of what was said into consideration to improve my 2013 online.